The challenge wasn't meant to be easy. They were set up to fail from the beginning. After death takes the only family Priya has ever known, she ventures out to find others like her, those who catch fire and fly. But shadow hunters prowl the night ready to kill firebirds like her, and one has found her trail. After a narrow escape she runs into the kind of man she shouldn't want...a man with silver eyes as if the very moon has been trapped inside his gaze. His help won't be enough when Nicholas finds her. When an extinct white firebird flies through the night sky, fire blazing behind the creature, he knows he has to have it. Pulling the shadows in, he notches his arrow and downs his prey, but when he arrives to catch it, he finds a female running from someone instead. He promised himself he wouldn't be her protector, he'd get her where she needed to go, but when Nicholas shows up and takes Priya from him, Doulzen finds the mark that tells him she is his fated mate. 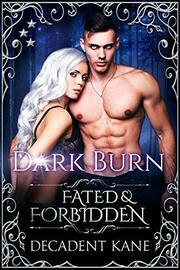 With darkness at his heels, he will stop at nothing to get her back as his very existence relies on it. When Priya and Doulzen find out each other's secrets, it will take a lot more than fate to bring them back together.